Below is the press release for the forthcoming Missing Believed Wiped event at the BFI Southbank on the 15th of December. The BFI celebrates Missing Believed Wiped (MBW)’s 25th birthday on 15 December at BFI Southbank with a treasure of television riches. Reflecting on the initiative’s successes from the last 25 years in tracking down and screening rediscovered ‘lost’ television classics. The 15 December event will present newly discovered material including top-quality music, comedy and variety titles as well as welcome repeats for much-requested items taking place across two sessions. We’re thrilled to announce the premiere of the much anticipated Doctor Who animated mini-episode based on the now lost first part of the 1968 Doctor Who story, ‘The Wheel in Space’, starring Patrick Troughton. We are delighted to be joined by a number of special guests including the Indiana Jones of lost archival television Philip Morris, who will be presenting some of the rare television gems he’s recently unearthed, including missing episodes of Morecambe and Wise, Sid James’s sitcom Citizen James and children’s television favourite Basil Brush including the only surviving live performance of The Kinks performing their hit Days. Pop star and songwriter Vince Hill looks back over his distinguished 60+ year career in music plus we also feature a rare performances by Aretha Franklin on British television. The BFI National Archive has grown to become one of the largest and most important collections of British television in the world. This special anniversary edition of Missing Believed Wiped offers a chance for reflection, looking back at some of the success stories and achievements from the last 25 years, which have deepened our understanding of British TV heritage. Celebrating his 60th year in showbiz, Vince Hill, the multi-million selling recording artist and star of BBC TV and radio, best known for his 1960s mega-hit ‘Edelweiss’, will introduce Vince Hill at The Talk of the Town (BBC 1969), the prime time BBC TV special filmed at the popular ‘Talk of the Town’ nightclub at London’s Hippodrome. Unseen for nearly 50 years since its original transmission, the 16mm film came from Vince’s personal collection. He made the discovery when searching through metal canisters in his lock up. This special affords a snapshot of Vince Hill’s live show of the time, when he was performing sell out shows up and down the UK, as well as starring in his own BBC Radio series, and appearing as a regular star at London’s Palladium. Vince had already made his name with several big UK chart hits and Vince Hill at The Talk of the Town features the only surviving performance of ‘Edelweiss’ on BBC TV. Vince Hill kindly donated the 16mm film to the BFI National Archive. Alongside this we are thrilled to announce the premiere of a brand new 10 minute animated Doctor Who mini-episode based on the now lost first part of the 1968 Doctor Who story, ‘The Wheel in Space’, starring Patrick Troughton as the Doctor and Frazer Hines as Jamie. This newly announced mini-episode, produced by Charles Norton and directed by Anne Marie Walsh who will introduce the BFI Southbank screening, will be included on a future BBC DVD release next year. Back by popular demand, the infamous Stars and Garters segment that proved such a huge hit at our 2016 event. We also sneak in a very special – once missing – clip from It’s Lulu (BBC 1970), having previously screened the full episode at MBW in 2007, it is included here as a tribute to The Queen of Soul, Aretha Franklin singing ‘Spirit in the Dark’. Helping the BFI celebrate the Missing Believed Wiped’s special anniversary we’re delighted that the legendary CEO of Television International Enterprises Archives (TIEA), Philip Morris, is able to join us at BFI Southbank to introduce a specially selection of rediscovered classics drawn exclusively from the TIEA Archive holdings. An archive television archaeologist who has traveled the world to track down missing episodes, Philip’s never say die attitude has helped him over the years recover a wealth of ‘lost’ British Television, many found in small television stations in far flung places and return them to television archives in the UK. TIEA also assists television stations around the world to preserve their archives and digitise their back catalogue for future generations. Among the clips and shows featured in this session are appearances from MBW favourites, Morecambe and Wise. In 2011 Morris discovered a badly deteriorated early missing episode from the first BBC series of The Morecambe and Wise show (1968) in Nigeria. Sadly unplayable, the BBC and researchers at Queen Mary University of London were able to recover some images through cutting edge lasers and X-Ray microtomography. There was existing evidence that two other shows from the first series had been sent to Sierra Leone as audition prints from London, however research found that all Sierra Leone Broadcasting Corporation (SLBC) holdings had been destroyed during the civil war in the 1980s and they were long thought lost. The ‘lost’ episode from the first BBC series of The Morecambe and Wise Show (Series 1, Episode 5, BBC TX 30/09/1968) which MBW are screening was recovered by Philip Morris, who found the two episodes in a derelict cinema in Sierra Leone. The programme also features Basil Brush in the earliest surviving episode from the first series of The Basil Brush Show (Series 1, Episode 3, BBC TX28/06/ 1968). Located in Nigeria a few years ago, the last five minutes, featuring a barnstorming performance from The Kinks, was missing until recently. Now restored and complete, this episode contains the only surviving live performance of ‘Days’, as The Kinks Top of The Pops performance had been wiped by the BBC. Missing Believed Wiped are also excited to screen a rare episode, ‘The Day Out’, from the third and final series of Citizen James (Series 3, Episode 6, BBC TX 05/10/1962). Sid James’s hilarious BBC sitcom ran from 1960-1962, following the exploits of Sid’s scheming charmer, guest starring Liz Fraser, the late Carry On actor who recently died in September, as the object of Sid’s wandering eye. This ‘lost’ episode was recovered from Monaco Television, in an old store room during a clear out of their premises. Below is a press release from the BFI, detailing the archive treats from the upcoming Missing Believed Wiped event at the Southbank this Saturday. There’s plenty of interest, not least the fact that Hartley Hare will be in attendance! Hopefully the material featured will find a wider audience at a later date – either via television rebroadcasting, online streaming or DVD releases. Screening a wealth of screen rarities and rediscoveries from the archives as well as presenting Kaleidoscope’s latest exciting finds, this curated programme will include a previously unknown 1963 Morecambe and Wise public information film, one of the earliest drink drive campaign films, and lost episodes of classic children’s television including early Ivor the Engine in black and white and an episode of Pipkins, starring Hartley Hare. Missing Believed Wiped audiences are also in for a rare treat with the first public screening of The Séance, a ‘lost’ untransmitted 1978 single drama from acclaimed playwright Jack Rosenthal (Yentl, The Lovers), directed by Renny Rye. Started in 1988 by a group of college students, Kaleidoscope is a unique archive repository for lost television footage, working alongside the BFI’s Missing Believed Wiped, BBC Treasure Hunt and ITV’s Raiders of the Lost Archive in helping to find, preserve and catalogue the nation’s television heritage. Over the years Kaleidoscope has collaborated with the BFI on programming Missing Believed Wiped, researching archive DVD releases and returning significant finds into the National Archive. Like the BFI National Archive, which looks after one of the largest and most important collections of television in the world, Kaleidoscope stores one of the UK’s largest private archives of British television with over 750,000 items, including The Bob Monkhouse Collection and the Jeremy Beadle Archive, alongside various holdings from both the BBC and the different ITV programme archives. Kaleidoscope also operates a flourishing publishing company, runs TV Brain (the television database equivalent to IMDb) as well as making archival television programmes and a recently launched DVD range. On 11 August Missing Believed Wiped host David Hamilton will reflect on Kaleidoscope’s achievements from the last 30 years with 2 celebratory sessions introduced by special guests including ITV children’s television favourite, Hartley Hare (aided and abetted by his handler Nigel Plaskitt) and Renny Rye, director of The Séance. Kaleidoscope will bring the retrieved film into the BFI National Archive, to be preserved on behalf of The National Archives as part of the Central Office of Information (COI) collection. Coincidentally, two decades later, Ernie Wise made another appearance in a public information film, for the National Blood Service alongside Morecambe and Wise regular, Glenda Jackson. Blood Donor: Glenda and Ernie (1981) was recently digitized and made available by the BFI as part of the NHS ON FILM collection. A generation of viewers grew up with Smallfilms’ timeless and much-loved colour children’s series of Ivor The Engine, but who remembers the earlier black and white films made for Associated-Rediffusion in the 1960s? Kaleidoscope’s Chris Perry went hunting and found a missing early episode; Ivor The Engine: Mr Brangwyn’s Box (ITV, 1963). Screening as a tribute to Peter Firmin, the Smallfilms co-founder who recently passed away, this fully restored episode was retrieved from a pig shed on Firmin’s farm. Another children’s television favourite, ITV’s 1970s pre-school puppet series, Pipkins, featured the irascible rascal Hartley Hare. Introduced by Hartley himself and series creator Nigel Plaskitt, Kaleidoscope will screen the rediscovered, Pipkins: Snapshots (ITV, 1980). 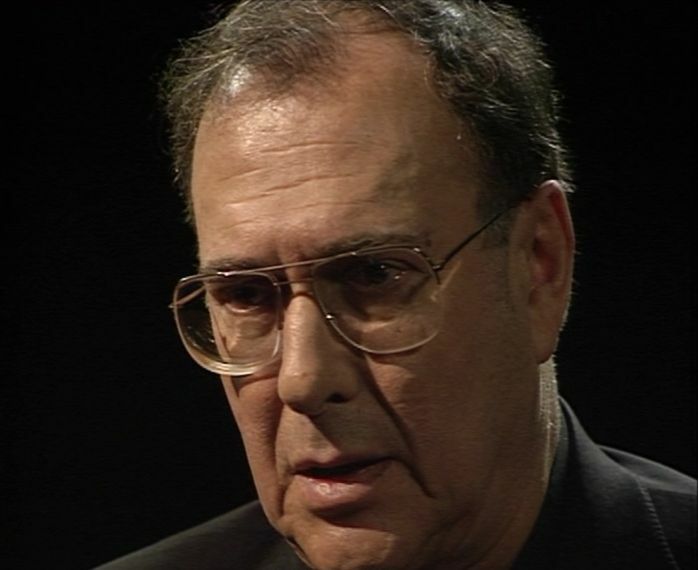 This episode was found whilst Kaleidoscope were digitising the IBA Education Archive, now held by the National Arts Education Archive (NAEA) based at the Yorkshire Sculpture Park. As Hartley Hare says, “I’m so grateful to Kaleidoscope and the BFI for showing this lost episode. Now everyone can enjoy what I watch on an endless loop in my own luxury private screening room”. Master puppeteer and puppet coach Nigel Plaskitt (Spitting Image, The Muppets, PG Tips’ Monkey, Hitchhiker’s Guide to the Galaxy, Avenue Q), will also present the world premiere of Monty and Co, with an episode of his brand new pre-school live-action puppet internet series, made and voiced by the original Pipkins team. Kaleidoscope will also screen a recently recovered ITV promo reel from 1965. This showcase of children’s television from ‘around the regions’ includes rare contributions from the smaller stations such as Ulster, Grampian and Channel TV. A rare treat in this formerly lost promo is the only known 1960s live footage from Puffin’s Pla(i)ce, Channel TV’s birthday greetings show, which ran from 1963 to 2013 becoming ITV’s longest-running children’s programme. Previously, only filmed news footage survived from this era of the programme. Missing Believed Wiped and Kaleidoscope are therefore very excited by the discovery of The Séance (BBC, 1978), a ‘lost’ Jack Rosenthal single drama which has recently come to light. Director Renny Rye (The Box of Delights) had kept the tape for 30 years in his personal collection before donating the tape to Kaleidoscope. Made as a training film for the BBC and adapted by Rosenthal from an Isaac Bashevis Singer short story, this short play was never broadcast. A true rarity, Renny Rye will introduce this first public screening. Rosenthal’s widow Maureen Lipman comments, “I can’t wait to see The Séance after working with Renny on The Evacuees (1976), Alan Parker’s first film, and sharing my life with the Isaac Bashevis Singer of Manchester, Jack Rosenthal. Thanks to Kaleidoscope for completing Jack’s archive”. Other programme highlights include Medico (BBC 1959). Long thought lost, this drama-documentary about the work of the Post Office coast stations who monitor distress calls from ships, features the RNLI Penlee Lifeboat shortly before it was destroyed at sea. The film was recovered from the RNLI Archives. This was a particularly poignant find for Kaleidoscope, who have supported and raised over £20,000 for the charity. Family members of those who survived the Penlee Lifeboat disaster are expected to attend and discuss the work of the RNLI. Tickets for both Missing Believed Wiped sessions on Saturday 11 August at 13:00 and 15:30 are now on sale, with joint ticket option available for both sessions. With no effective way for recordings to be made from live broadcasts in the early 1950’s, we’ll never know exactly how good (or bad!) the 1951 series was, as no visual or audio record exists. But we’re much more fortunate with the Wilmer series – as eleven of the thirteen episodes exist in their entirety (later, we’ll discuss how the BFI have dealt with the two partly missing stories). The Speckled Band (18 May 1964). This was transmitted as an episode of the Detective series. With the complete canon to cherry-pick stories from, the above list is an interesting selection. Some of the choices are no surprise, since they’re amongst the most popular of ACD’s tales (the likes of The Speckled Band, The Copper Beeches, The Red-Headed League, The Six Napoleons and The Man With the Twisted Lip) although it’s surprising that a few others (The Retired Colourman and The Disappearance of Lady Frances Carfax, for example) were chosen ahead of arguably stronger fare. Of course, had the series continued, then maybe the ultimate aim would have been to record all of the fifty-six short stories and four novels. This is something that no British series has ever done (the Granada series with Jeremy Brett came close – but by the time Brett died, there were still more than a dozen unfilmed stories). By the mid 1960’s, television no longer had to be transmitted live, since it was possible to pre-record. However, it was still often recorded “as live” (shot in long continuous takes with recording only pausing for serious technical problems or when it was impossible for the action to continue from one set to another without a pause). 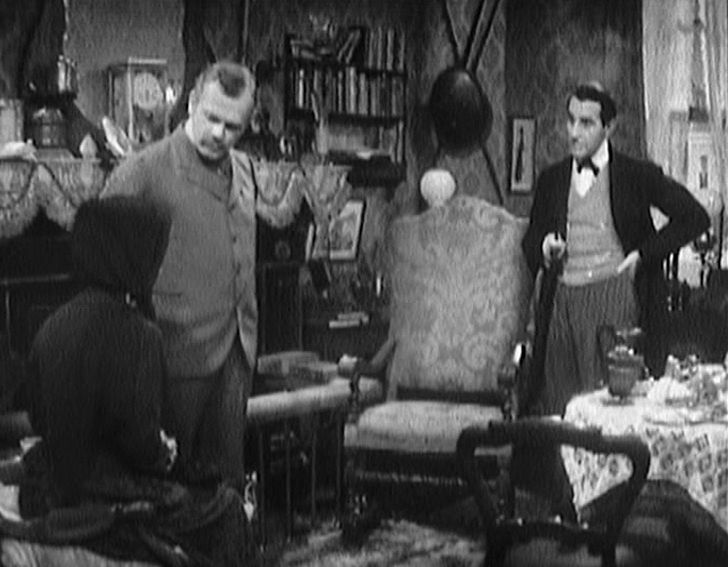 Sherlock Holmes, like the majority of BBC drama of the period, was made largely in the studio (captured on 405-line videotape with exteriors shot on film). Since videotape was very expensive, the tapes would be routinely wiped in order to record new programmes – so virtually everything that still exists from these years does so thanks to the film copies that were made (either for overseas sales or because the programme was so technically complex that it had been decided to edit and transmit it from a film dub). Anybody who knows a little about British television of this era will be aware that the survival rates of programmes can be frustratingly inconsistent – so we’re very lucky that virtually all of the Wilmer series exists (the Cushing series is sadly much less complete). Something else which the archive television fan will be aware of is that the existing film prints of any series tend to vary in quality – which can be for several reasons. It may be because the prints were “biked” from country to country (when a particular country had finished broadcasting it, as per agreements with BBC Enterprises they then forwarded it onto the next country in the chain) and so the print would have suffered wear-and-tear (dirt, damage, etc). Or it might be due to the telerecording process used (The Speckled Band was the only one of the Wilmer series to be recorded with the ‘suppressed field’ process – a system that produces a noticeably lower picture quality). The upshot is that whilst watchable, previous releases (such as the Region 1 DVD) left a little to be desired on the visual front. 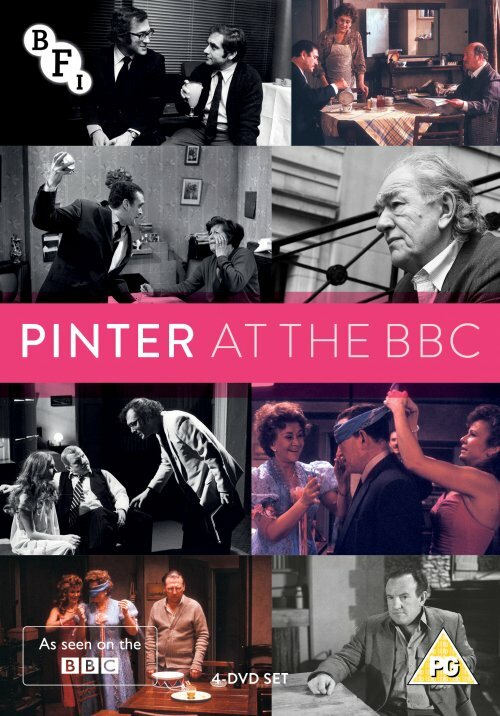 This BFI DVD features restored versions of all episodes and does offer a good upgrade. Although it’s true to say that it could be better (it’s not up to the standards of the frame-by-frame restorations and VidFIREd black & white Doctor Who stories, for example) it’s important to understand that the budget for restoration will only stretch so far. 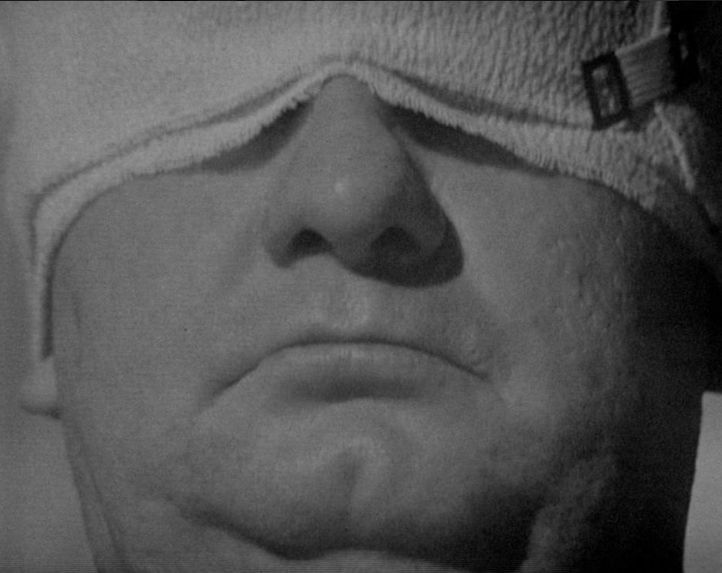 If you have the BFI release of Out of the Unknown, then the restoration carried out here is comparable – certainly every story now looks better than it did on the Region 1 DVD and various picture flaws that were previously very evident (a tramline scratch on a long section of The Devil’s Foot, for example) have either been fixed or made much less obvious. With more time and money the episodes could have been improved even more – but when so many programmes of this era languish unreleased in the archive (and of the few that are released, many don’t receive any restoration) the picture quality of these episodes are generally very pleasing. Peter Crocker, of SVS Resources, should be applauded for his efforts, considering the limited time and budget he had to work with. If the improved picture quality is one reason to upgrade, then the strong selection of special features is certainly another. Chief amongst these are the inclusion of the existing footage from the two incomplete episodes – The Abbey Grange and The Bruce-Partington Plans (which is very welcome since neither story was represented on the previous DVD releases). 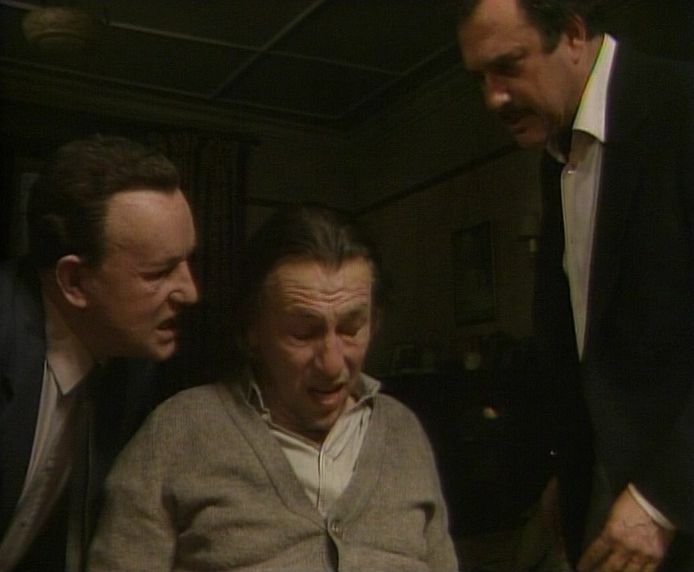 The first half of The Abbey Grange no longer exists, so it’s completed with a newly shot sequence of Douglas Wilmer reading an adaptation of the story. The second half of The Bruce-Partington Plans is missing from the archives and it’s been completed with an off-air soundtrack syncronised to extracts from the camera script. Neither is a substitute for having the complete episode (and it might have been wise to cut-down Wilmer’s piece to camera for The Abbey Grange) but it’s certainly much, much better than nothing (like the Region 1 release offered us). 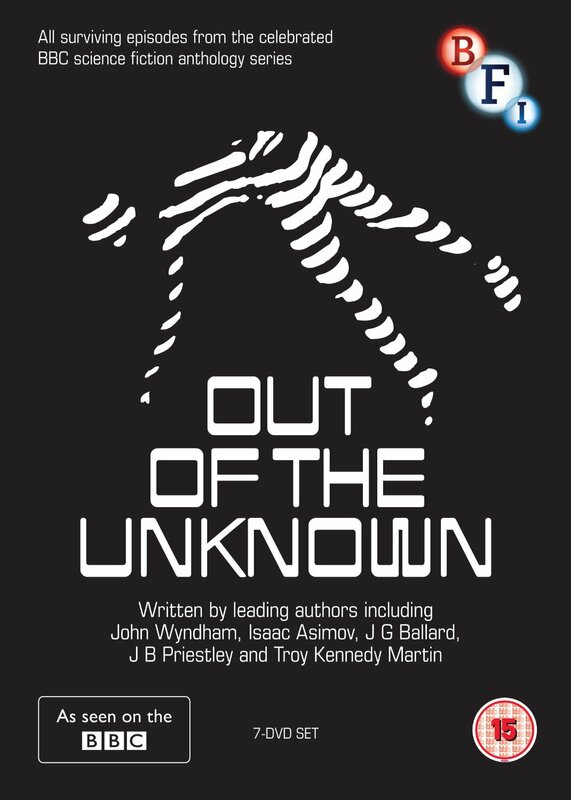 Like Out of the Unknown, Toby Hadoke and producer John Kelly have assembled a mouthwatering series of commentary tracks with directors Peter Sasdy and Peter Cregeen as well as actors Douglas Wilmer, David Andrews and Trevor Martin across five episodes. Wilmer’s involvement (on two commentaries, a 22 minute interview and the first half reading of The Abbey Grange) is particularly welcome. The BFI should be applauded for including so many good supplementary features, as these help to place the original programmes in their correct historical and cultural contexts. 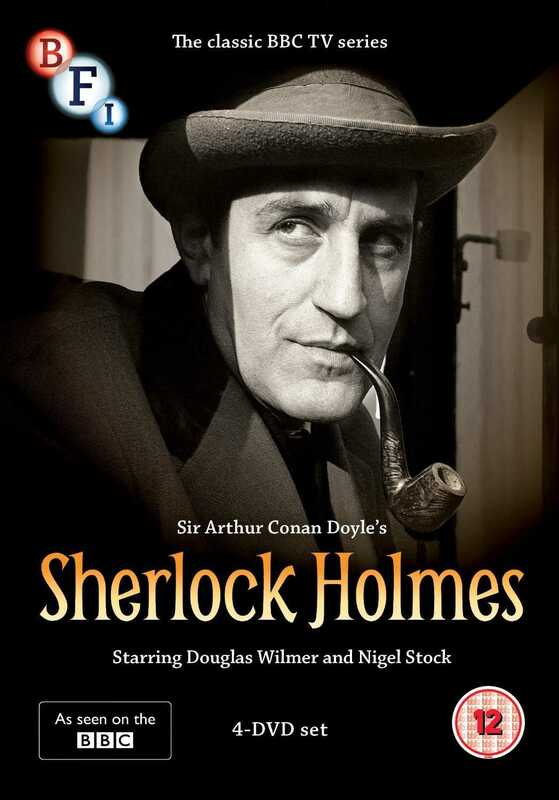 From Tuesday onwards, I’ll be blogging a quick review of each story (where I’ll go into more detail about the merits of both Wilmer and Stock) but suffice it to say that if you’re a fan of Sherlock Holmes or simply a fan of 1960’s British television, then this is must buy. Good picture restoration and a quality selection of bonus features help to enhance a very strong series. Hopefully sales of this will be good enough to persuade the BFI that other BBC series of the same era deserve similar treatment. But for now, I’d strongly recommend picking up a copy of this classic series. Sir Arthur Conan Doyle’s Sherlock Holmes: The Classic BBC TV series. 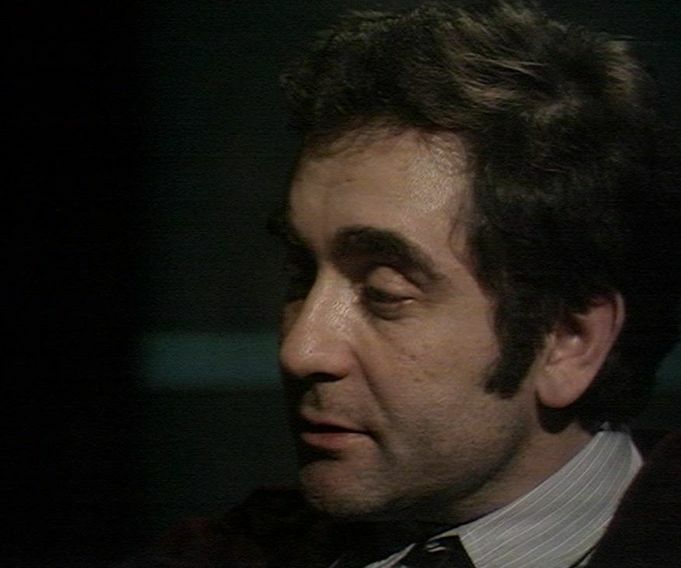 Regarded by many to be the best incarnation of the Baker Street sleuth, Douglas Wilmer gives a career-defining performance in this celebrated BBC series. Intelligent, quick on his heels, and bearing a striking resemblance to the original Sidney Paget illustrations, Wilmer’s portrayal as possibly the closest to Conan Doyle’s original vision that there has ever been. In 2012, his status as legend within the Sherlock pantheon was cemented when he was asked to make a cameo appearance in Sherlock with Benedict Cumberbatch. 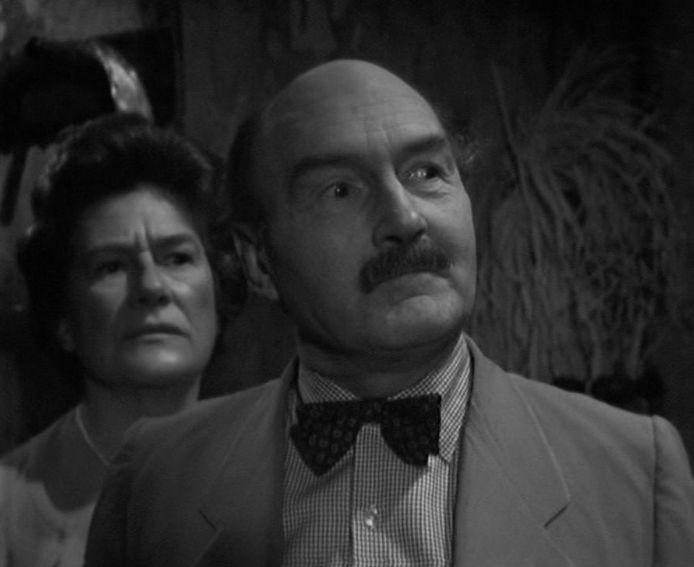 The first story in the series, The Speckled Band, was originally produced as part of the BBC drama strand Detectives. 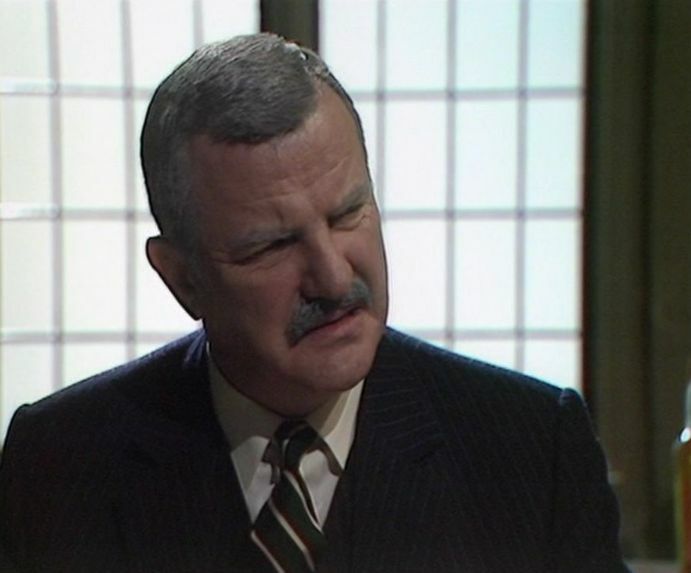 Appearing alongside Wilmer, as Holmes loyal companion Dr John Watson, was the great Nigel Stock. Such was the success of the adaptation that Wilmer and Stock were reunited a year later for a full 12-part series. 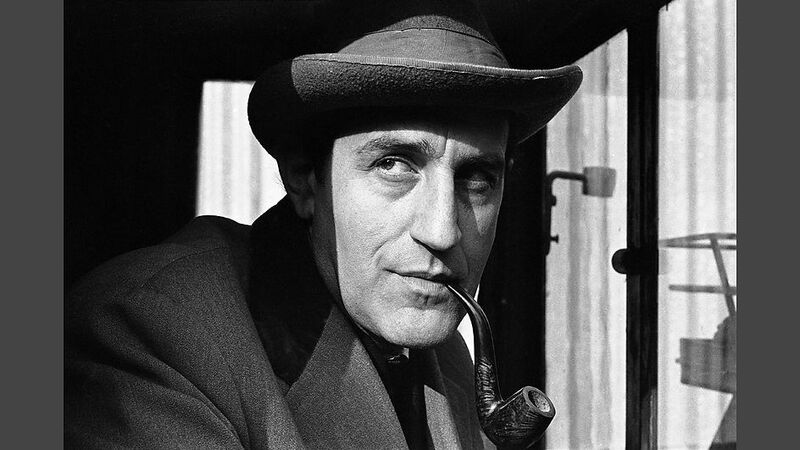 With a supporting cast that included Clochemerle star Peter Madden as Inspector Lestrade, TV veteran Derek Francis as Mycroft Holmes, and guest starts such as Peter Wyngarde (Department S, The Innocents) and Patrick Troughton (Doctor Who), the popularity of the series gave rise to a second series, in which the role of Sherlock was played by Peter Cushing. Although the series has received a R1 release and a French R2 release, as the above indicates this will be the first UK release and the inclusion of the existing material from the two incomplete episodes as well as the Douglas Wilmer interview and commentaries are the icing on what looks like a very appealing cake. A DVD review can be found here. The video was restored by Peter Crocker and the audio by Mark Ayres. Both names will be familiar to some people via their work on the Classic Doctor Who DVD range, but the PQ on OOTU is a little more variable than the Doctor Who releases. Crocker discusses the various reasons why this is the case in the booklet included with the DVD. For the majority of the B&W episodes, existing tape transfers were used and then cleaned up as much as possible, although some (like Tunnel under the World) had so much damage that a full restoration was impossible. Generally though, the picture quality is as good as could be expected. The film sequences on some stories are out of phase (a common occurrence on material of this age) but it’s difficult to see how, given the time and budget, things could have been any better. The menu screens are quite simple, with a static image and no music. Apart from the audio commentaries (where the ever-cheerful Toby Hadoke teases reminiscences from both actors and technical staff) and a new 42 minute documentary, the most substantial extras are four reconstructed episodes. Anybody who’s ever seen a Doctor Who recon will be familiar with how three of them (Beach Head, The Naked Sun and The Yellow Pill) are presented. Available publicity photographs (along with a little CGI) have been married up to the original soundtrack to produce a pretty watchable experience. The audios all sound pretty good (and subtitles can be switched on if there’s ever any muffled dialogue). The audio of The Naked Sun is incomplete, so subs help to explain what’s happening during the audio-less sections. Photographs for The Uninvited are thin on the ground, so the audio for this recon is matched up to the camera script. Below are a number of screenshots from a variety of episodes. Although I’ve only scratched the surface of this release, it looks an impressive package, with a healthy selection of special features which help to place the original stories in context. With the release of Out of the Unknown less than a week away, the BFI have put this rather nice trailer up. This link will take you to the BFI’s website, where there’s highlights of an Out of the Unknown panel moderated by Toby Hadoke and featuring director John Gorrie, SFX sound engineer Brian Hodgson and author Mark Ward. For more info on the DVD set, please look here, here and here. An overview of all four series can be found here.